Crewsaver Crewlift 40 Bosuns Chair is manufactured from PVC coated nylon, with two stainless steel attachment welded triangles and removable wooden seat. 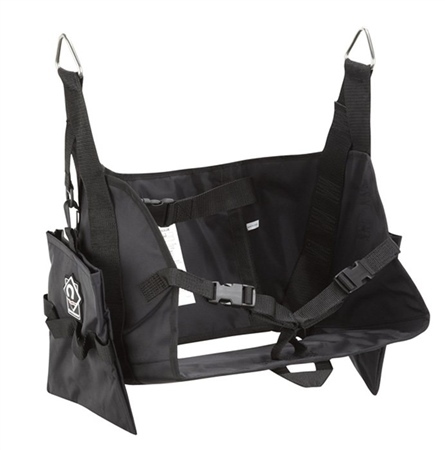 Includes adjustable waist belt and thigh straps, plus detachable tool pouch with webbing tool rack. CE Approved to European Standards. High quality 316 Marine Grade stainless steel is used to form the D rings.